Include the display of sweet treats into your party décor by using our themed party favor boxes! 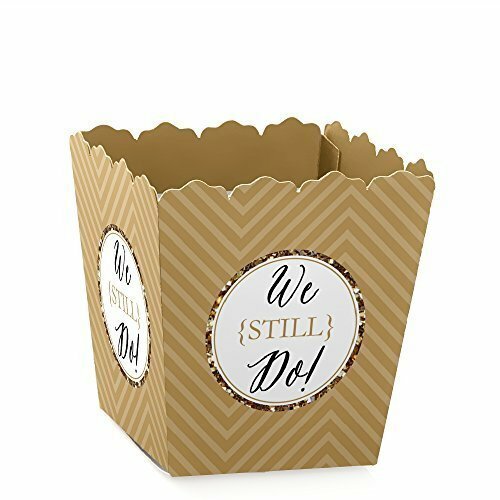 These wedding anniversary favor boxes are sold in sets of 12, are the perfect size for your favorite candy, prize or treat! Display several in a grouping on a candy buffet table allowing guests to sample several treats, or send each person home with their own individual treat box! Custom printed with our original artwork, these boxes are created with a heavy duty satin paper that gives the finished product a photo like shine! The perfect complement to any celebration, you'll love our themed party favor boxes! 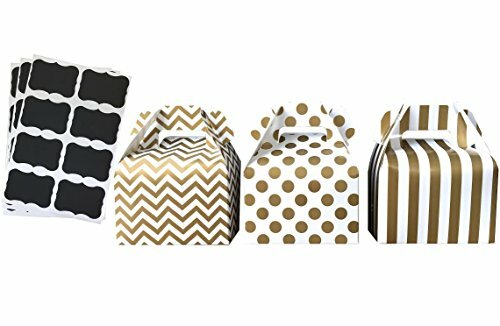 These cute gable boxes will be the perfect addition to your party. Use as a cute gift box or favor box. They are the perfect touch to any party table, candy buffet, wedding, birthday, baby shower, bridal shower, graduation, holiday or just to make your everyday special! 4 x 2.5 x 4.75. 24 boxes and 24 labels included. 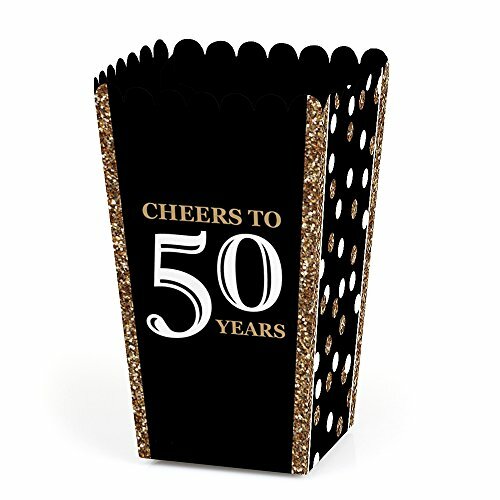 Include a display of sweet treats or non-edible items into your party decor by using our Adult 50th Birthday - Gold - Birthday Party Favor Popcorn Treat Boxes! These boxes, measuring 5.75 inches tall by 3.5 inches square at the top, and sold in sets of 12, are the perfect size for your favorite bite sized candy, treat, or a favor boxes with non-edible favors! Display several in a grouping on a candy buffet table allowing guests to sample several treats, or send each person home with their own individual treat box! Custom printed with our original artwork, these boxes are created with a heavy duty satin paper that gives the finished product a photo like shine! The perfect complement to any celebration, you'll love our themed party popcorn boxes! Are you looking for the happy birthday or anniversary wine glasses gift for your parents, friend or family members? Well, say no more as you have found the unique wine glass gift for them! This gift is everything you are looking for and everything your receiver would want to receive. It is very fun and humorous with its funny sayings, it is made from high quality glass. 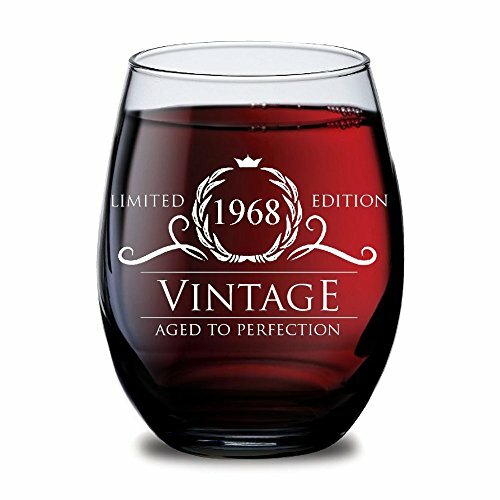 This Golden 50th Birthday or Anniversary Wine Glass is dishwasher friendly, durable! 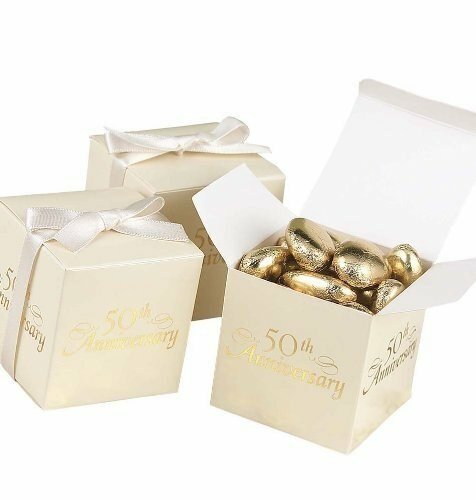 Include the display of sweet treats into your party decor by using our wedding anniversary party candy boxes! These boxes, measuring 3 inches by 2.75 inches, and sold in sets of 12, are the perfect size for your favorite bite sized candy or treat! Display several in a grouping on a candy buffet table allowing guests to sample several treats, or send each person home with their own individual treat box! Custom printed with our original artwork, these boxes are created with a heavy duty satin paper that gives the finished product a photo like shine! The perfect complement to any celebration, you'll love our themed party candy boxes! Tojwi organza bags is high qualtiy, perfectly for storage stuffs and widely used in our life. BEAUTIFUL-sheer organza and satin drawstring closures, very beautiful and elegant. FUNCTIONAL-greats for holding small size gifts, stones, favor,watches, earrings, bracelets,candies, cosmetics sample,great for party/wedding/store/chruch use. 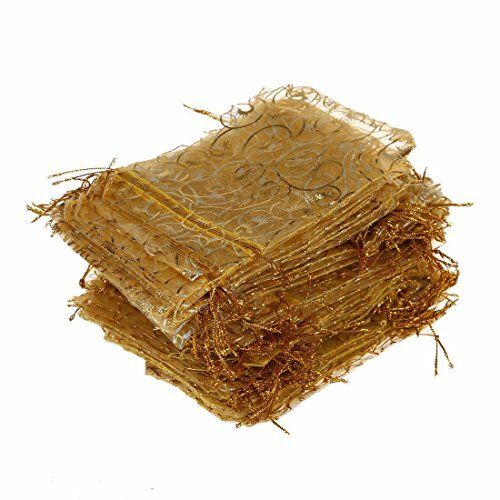 COLOR-Champagne SIZE-3.5"x4.3" (9x11cm) PACKAGE-100pcs Organza bags ATTENTION: Due to the camera of image exposure,shadows,bright value and contrast,the color of the item may be a little different from the picture. Ever ask yourself "I need a perfect gift that lets my loved one know how special they are?" 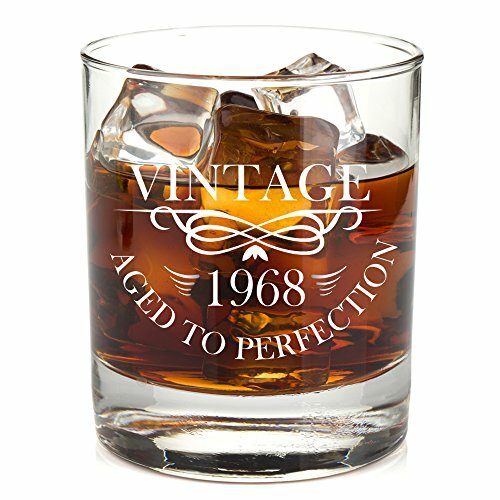 This whiskey glass is the perfect choice for their special birthday!An affordable birthday whiskey gift solution:Thinking of a unique gift idea can be daunting task. This lowball whiskey tumbler gift is an inexpensive present or bar accessory for any whiskey lover or enthusiast (men or women):Rest assured our hilarious whiskey glasses are ready to gift wrap, packaged in a box strong enough to ship. Just click 'Add to Cart' for your hassle-free gift giving experience! 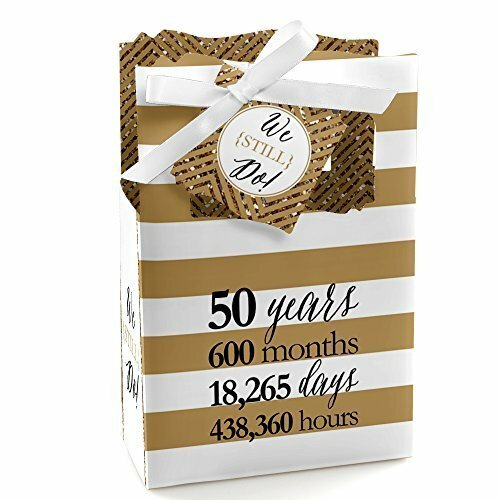 Looking for more 50th Anniversary Favor Boxes similar ideas? Try to explore these searches: White Metal Stand, All Bats, and Abrasive Wheels. Look at latest related video about 50th Anniversary Favor Boxes. Shopwizion.com is the smartest way for online shopping: compare prices of leading online shops for best deals around the web. 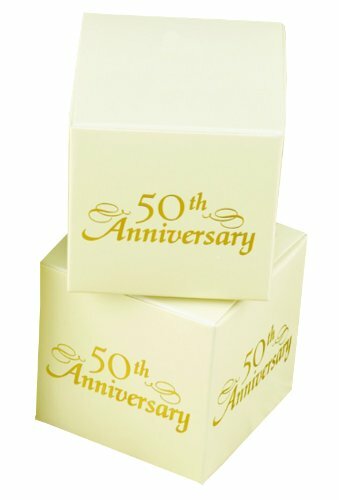 Don't miss TOP 50th Anniversary Favor Boxes deals, updated daily.